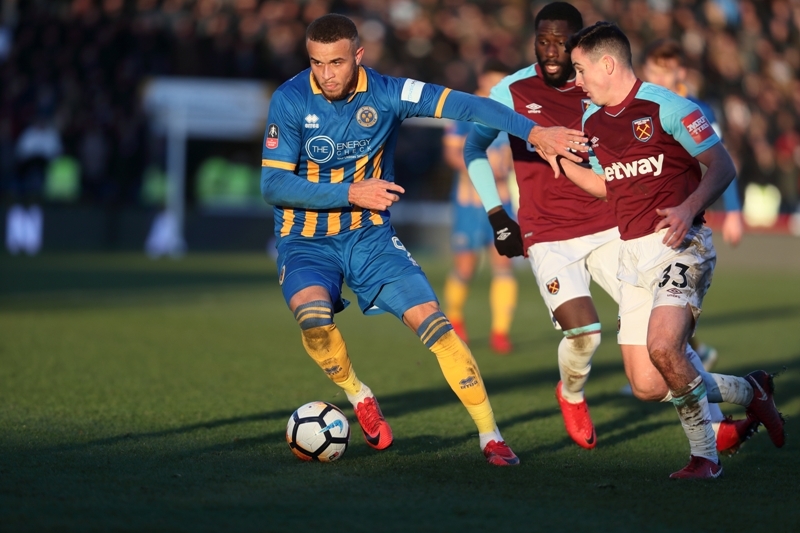 After defeating Aldershot Town and Morecambe in the first and second rounds of the Emirates FA Cup, Shrewsbury Town faced perhaps their biggest game of the season: a third round clash with Premier League West Ham United. It was a big occasion for us too, as we became Salop’s first ever shirt sleeve sponsor. 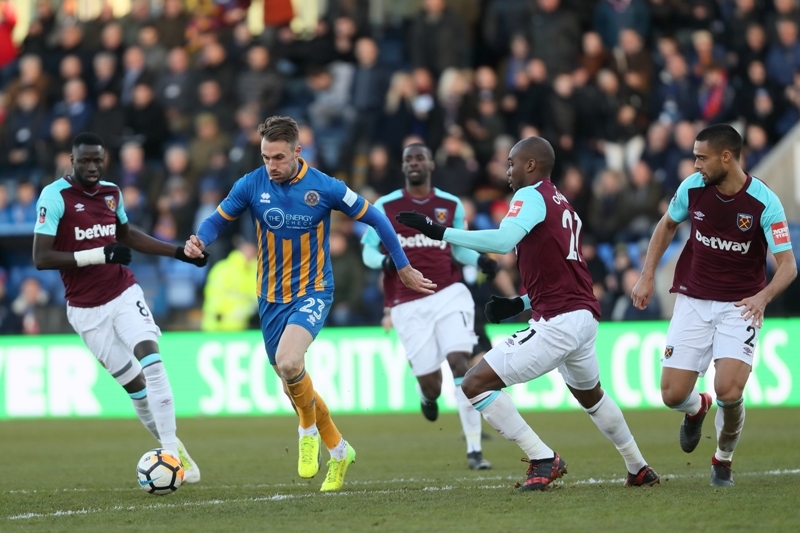 Our co-founder Walt is already a massive Shrews fan, but the whole company was rooting for the boys to inflict a famous upset against the Hammers! Despite a two division gap, Paul Hurst’s side were the better team in the game at New Meadow and were unlucky not to come away with a win. Ex-Shrewsbury keeper Joe Hart (wearing a cap gifted to him by a fan behind his goal) made a couple of great saves to deny Mat Sadler and Alex Rodman, while Jon Nolan was unfortunate not to convert a chance late on. Alex Rodman of Shrewsbury Town. Carlton Morris of Shrewsbury Town and Joshua Cullen of West Ham United. 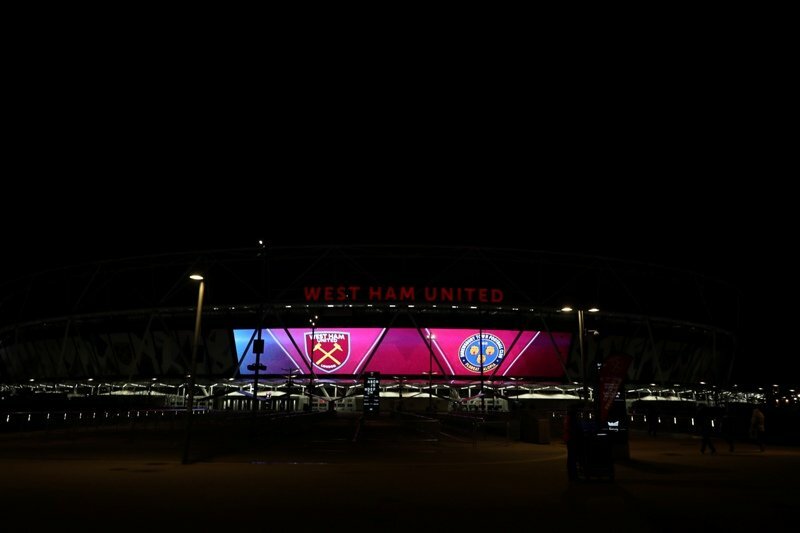 Still, the 0-0 draw gave the Shrews a chance to take on the Hammers at the famous London Stadium. 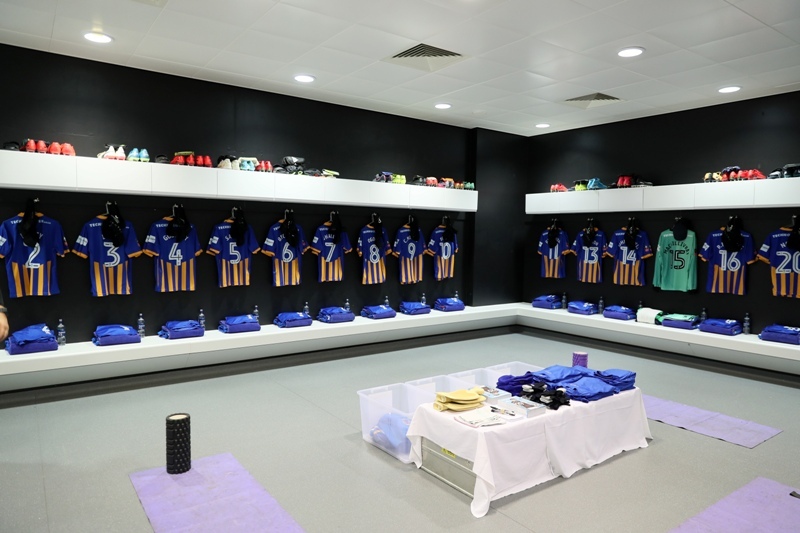 The Shrewsbury Town kit laid out in the London Stadium away dressing room. West Ham United and Shrewsbury Town walk out to the pitch. The replay was even more tense, with the Shrews more than holding their own in the first half. 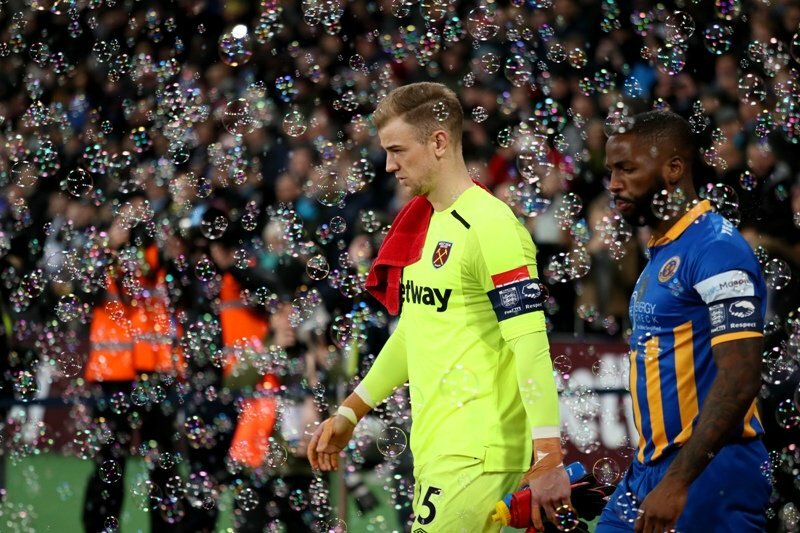 West Ham improved in the second half after the introduction of Mark Noble and Marko Arnautovic, although Shrewsbury had the best chance of the game when Stefan Payne broke through and placed what looked like a perfect shot through Hart’s legs. Unfortunately, Hart got a faint touch on the ball and it went agonisingly wide. 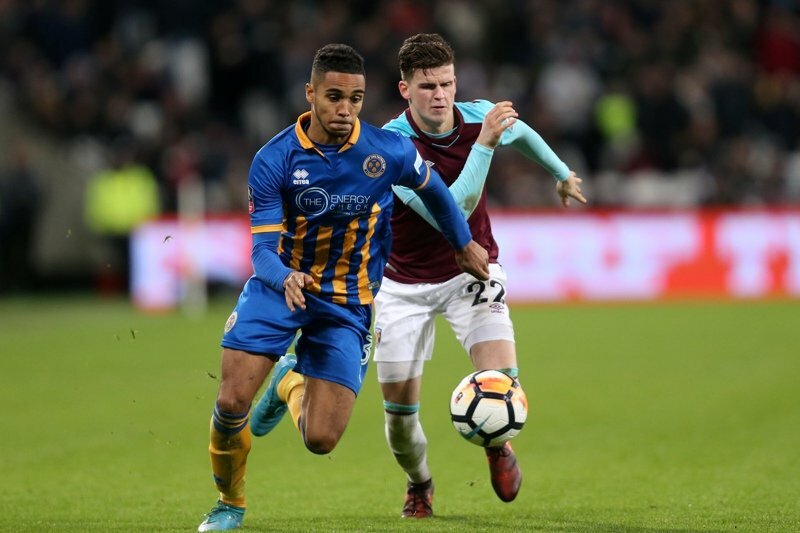 Max Lowe of Shrewsbury Town competes with Sam Byram of West Ham United. The game went into extra time and after 113 minutes of tense football, West Ham finally made the breakthrough with a Reece Burke volley. It was a disappointing end to a tie Shrewsbury deserved to win, but Paul Hurst’s men can be proud of their achievements. 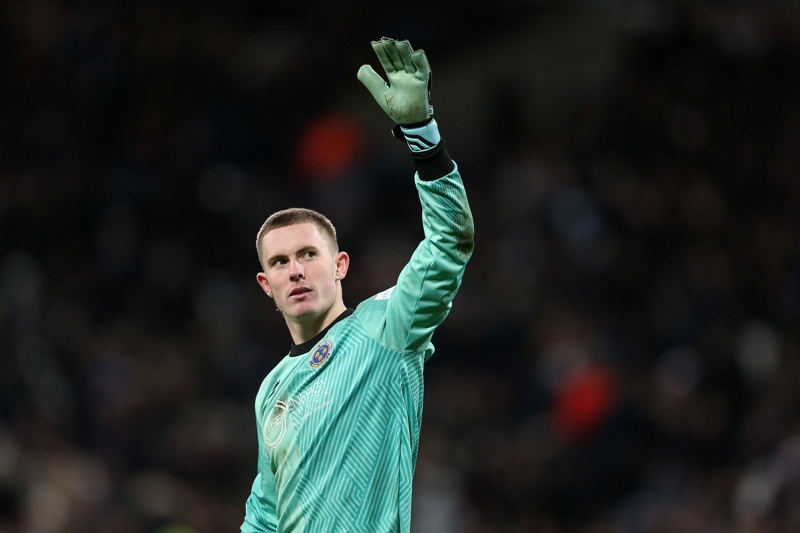 Dean Henderson of Shrewsbury Town. 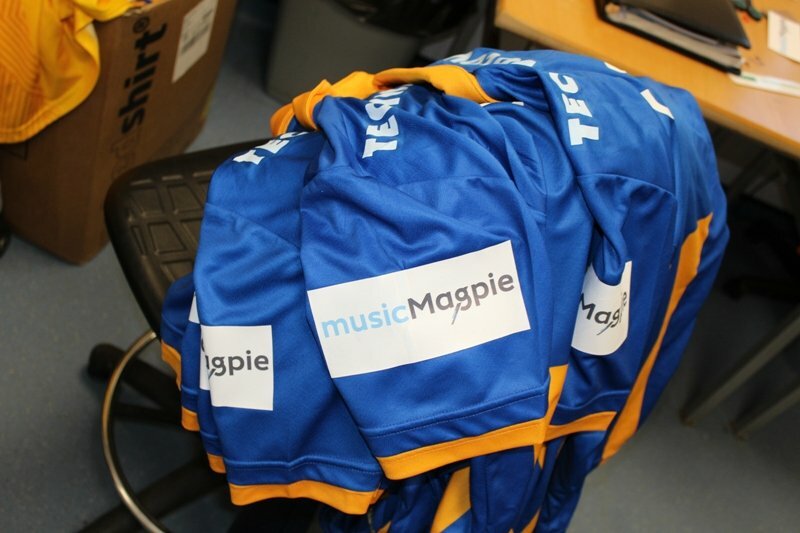 The musicMagpie logo on the sleeves of the Shrewsbury Town home shirt. 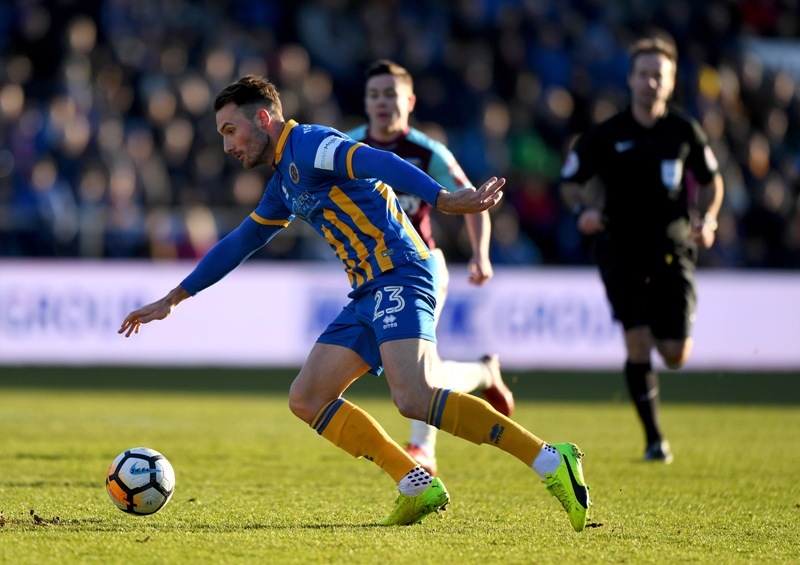 Although Shrewsbury are out of the FA Cup, we’re delighted to continue supporting the team with a series of in-stadium adverts as they push for promotion to the Championship!